In order to assure the credibility of certificates issued by certification bodies such as Management Systems Certification Ltd it is necessary to set a standard for their operation. The standard for management systems is ISO 17021. The standard for product certification is EN 45011. An international accreditation system has been set up, whereby a network of government-sponsored accreditation bodies police the issue of certificates by Certification Bodies. 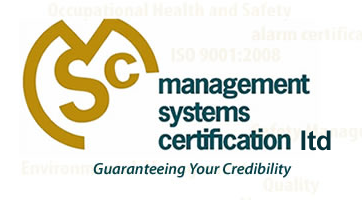 So, we at Management Systems Certification Ltd have to undergo an independent audit of our management system and our auditing procedures to confirm that we are maintaining our quality standards and the credibility of our certificates.